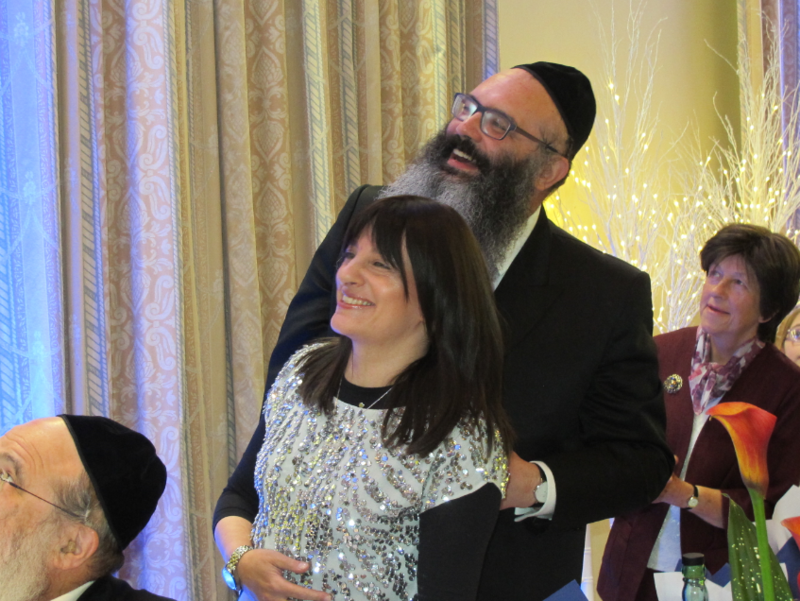 Rabbi & Rebbetzin Rubin are the heart of our community – providing support across the entire spectrum of our congregation and beyond. At the time that I am writing this article I am feeling very reflective and nostalgic. On the 11 September, the community celebrated 25 years of Rubins at Giffnock Shul. How am I meant to encapsulate 25 years in a 10 minute speech? By the time you read this article my speech will be behind me and either I will be fully satisfied with what I said or regret for not saying more, less or something different, either way it will be over and I wont be able to change or take back what I’ve said. So it is with Rosh Hashanah every year, as we reflect back on the previous year we can regret or celebrate the past but one thing we can not do is change it, which makes the Torah definition of Rosh Hashanah even stranger – a remembrance of [Israel through] the shofar blast, a holy occasion (Leviticus 23:24). A definition that led the Sages to refer to Rosh Hashanah as Yom Hazikaron, the Day of Remembrance. This Godly remembrance feels depressing to me. If we can not change the past then what chance do we have when on Rosh Hashanah God remembers the past? How are meant to rectify our passed misdeeds, the ones God is considering today in His remembrance? Are we not doomed even before the year begins? The other problem with this name is that it is contradictory to the popular name Rosh Hashanah, which is all about the future, a new beginning. So is this day about the past or about the future? Perhaps the day is not about the past or the future, perhaps the day is about pressing the pause button, stopping for a moment and taking stock. We can not change the past but we can overcome our shortcomings and make the future a more meaningful experience. The new year season, Rosh Hashanah and Yom Kippur, is a time to reflect on our past deeds, the good ones and not so good ones. The season is about trying to build on those good deeds and, for the not so good deeds, show regret and resolve to avoid in the future. We can not change the past but we can take the past and use it to inspire us to live a better and a more meaningful future. May year 5777 be one such year, an inspiring and meaningful year. From the Rebetzin, myself and all the Rubins we wish you all Shanna Tova, filled with good health, prosperity, Nachat and happiness.